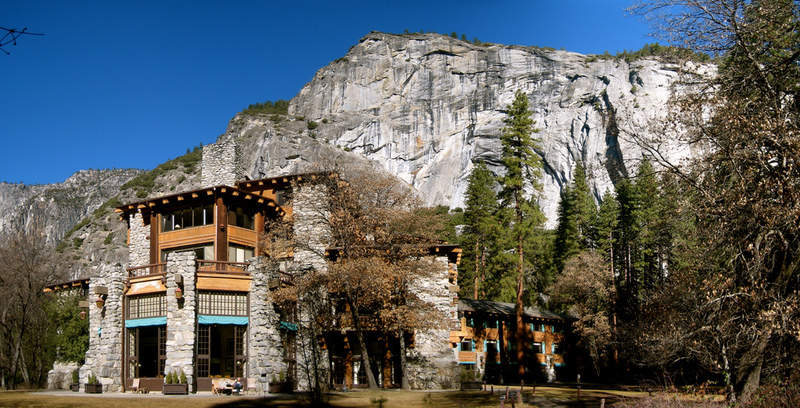 Say goodbye to The Ahwahnee Hotel and The Wawona Hotel, and hello to The Majestic Yosemite Lodge and Big Trees Lodge: Yosemite National Park visitors will see new signs on familiar hotels, inns, camp villages, and other parts of the park after a change in vendors. The National Park Service couldn’t reach an agreement with a departing vendor that controls the trademarks for several buildings and areas inside the park. The change became official today, with new signs going up over the old ones, reports the Los Angeles Times. Also getting a name change: Curry Village, a campsite leading to Half Dome, will now be Half Dome Village; Yosemite Lodge at the Falls is Yosemite Valley Lodge; and Badger Pass Ski Area has become the Yosemite Ski and Snowboard arena. The Park Service was forced to make the switches to avoid potential trademark infringement issues with the concessioner that previously controlled those areas and buildings, DNC Parks & Resorts at Yosemite Inc. The company or its predecessor had trademarked those famous Yosemite attractions without Park Service approval, and says they’re worth $50 million, according to the Park Service. The agency is fighting a trademark of the name Yosemite National Park as well.